“A war against Christianity,” a friend on Facebook asserted, as he pointed to examples in the United States and around the world. The shooting at Umpqua Community College recently and the various occasions when ISIS has executed people identified as Christians provided prime examples. 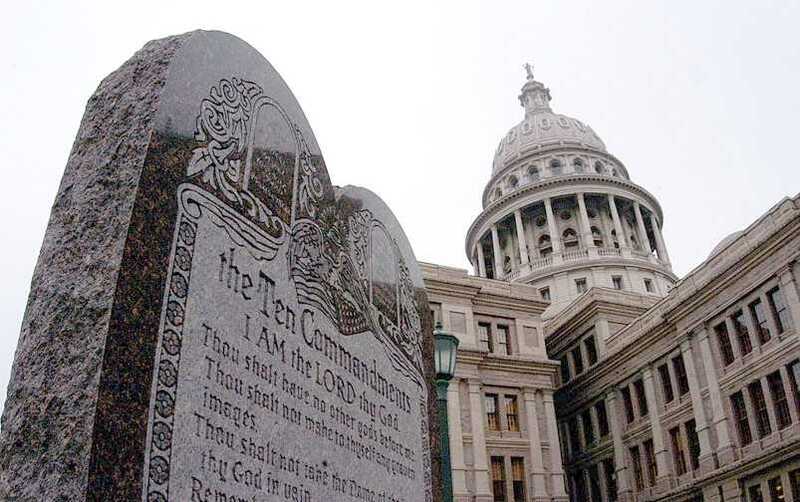 Others making similar claims point to shifts in US policy, including the removal of the Ten Commandments from schools and courthouses, restrictions on official prayer at public schools, and movements to remove “God” from the Pledge and US money. Of course, to argue that these examples illustrate a general “war against Christianity” ignores a host of other counterexamples. In the context of the United States, over 90% of our Congressional representatives after the 2014 election identified as Christian. Similarly, no president has openly identified as anything other than Christian (including Obama), although others have labeled some Presidents irreligious at different times. Similarly, almost all of the presidential candidates in both parties identify as Christian (with Bernie Sanders, who was raised Jewish, being the notable exception). In fact, the public calendar of holidays and weekends still respects Christian commemorations, not Jewish, Muslim, or Hindu celebrations. Moving to a global focus, the violent deaths of people identified as Christians, including violence related to religious identification, seems to pale in comparison to contemporary attacks on people who identify as Muslim, including Rohingya Muslims in Myanmar, a Muslim man killed by a mob in India recently, and people who identify as Muslims whom ISIS have killed in Syria and Iraq. While asserting that a global war against Muslims is taking place is also a problematic assertion, claiming that people who identify as Christian are frequently the victims of war and violence related to religious identification requires a willful disregard for the broader realities of the world and the primary victims of the groups often claimed to be attacking Christianity, specifically ISIS, al-Qaeda, the Taliban, and similar groups. Claiming a war on Christianity, then, necessitates the selective use of examples. Those who make such claims do not necessarily intend to ignore the counter-evidence, but particular events resonate powerfully with them because they involve people with whom they construct an affinity. Viewing these selected events together generates a fear of attack and loss of status. We can perform a similar exercise with others who experience a sense of being oppressed. The Black Lives Matter movement has emphasized violence and oppression against people of color and, more specifically, unarmed African-Americans who have been injured or killed during an interaction with police. While the Black Lives Matter movement certainly emphasizes selective examples, other data also suggests that African-Americans have less access to power. People who identify as African-American are over-representedin the prison population, and, even though the President is African-American, members of Congress identified as African-American remain clearly below 10%, despite recent rises. It is clear that African-Americans, by these measures, have less access to power than the majority Caucasian population. Of course, the key phrase there is “by these measures.” Just as the examples that each group chooses to emphasize and to ignore determine the image created, my own choice of counterexamples also generates the image that I present. The comparison is the construction of the person presenting it, interpreted through the experiences of the person viewing it. We all need to look beyond the examples cited and the anecdotes that stick in our own minds (often based on our personal affinities) to think about the larger dynamics at play in situations such as these. This entry was posted in Politics and Religion, Religion and Society, Religion and Theory, Religion in the News, Steven Ramey, Theory and Method and tagged Al Qaeda, Bernie Sanders, Black Lives Matter movement, ISIS, Rohingya Muslims, Taliban, Umpqua Community College. Bookmark the permalink.